Valuable customer experiences are at the very heart of what Vergic customer engagement technology enables. Our platform powers more personal, relevant, enjoyable and efficient online customer support, surfing and shopping experiences — every minute, everyday. Experiences built around effective solutions customer engagement solutions for lead generation, sales conversion and customer service. Vergic Engage Platform provides one of the most intuitive and flexible engagement solutions in the market through a seamless experience across touch points. Our state-of-the-art, easy-to-work with customer engagement interface enables consistent branding and customer experiences across the service organization and a common user experiences across any device connected to the internet, i.e. : desktops, smartphones, tablets, etc. Right now our platform conducts more than five billion online interactions per year for leading brands in the financial, insurance, IT, telcom, energy, e-commerce as well as the public sectors. It ensures that business are able to interact with online customers as well as — or even better than – they do in the real world. Content and items on websites being immediately tailored to match individual site visitor’s preferences, interests, actions and behavior. 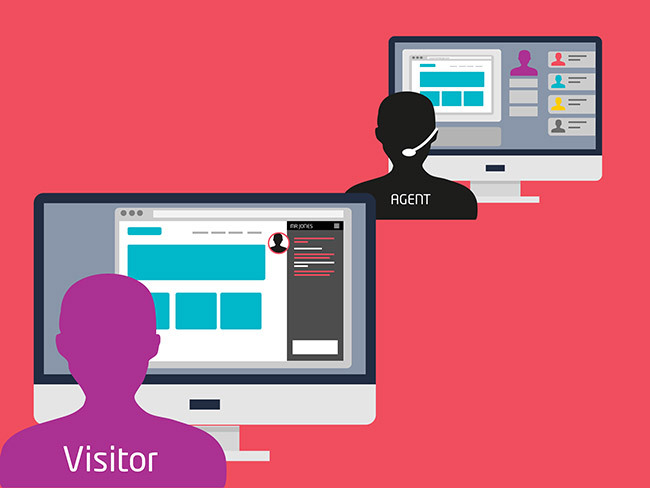 It unites two sides of a site: the visitor (i.e. : a potential or existing end customer) with customer service agents or support professionals. So site owners and customer service agents use personal, relevant offers and support to intelligently engage the right customer at the right time and right place. Online and in real-time. Online, real-time customer engagements enhance customer experience and provide value to customers throughout their browsing, fact-finding and/or issue resolution activities. This boosts online customer service and customer care. And enables site owners and agents to increase online sales via higher lead and sales conversion rates as well as higher customer satisfaction, loyalty and preference levels. How big of an impact can it make on your business? Shown here are current figures for lead generation and sales conversion as well as customer service.